The Emir of Qatar has shouldered the hotel accommodations, not only of the Philippine delegation led by President Rodrigo Duterte, but also of the reporters covering his 2-day state visit to the rich gulf country. The Sheikh Tamim bin Hamad Al-Thani footing the hotel bills for the Philippine media was both confirmed by ABS-CBN and Inquirer reporters in separate stories on Easter Sunday; Duterte’s last day of visit in Qatar. 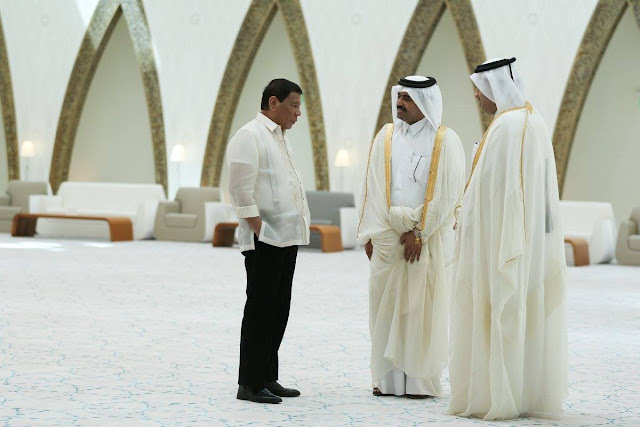 Ron Gagalac of ABS-CBN News said there were 39 members of the media delegation alone and they were staying in the five-star Hilton Hotel in the capital Doha where each room costs $260 (P12,866) per night. 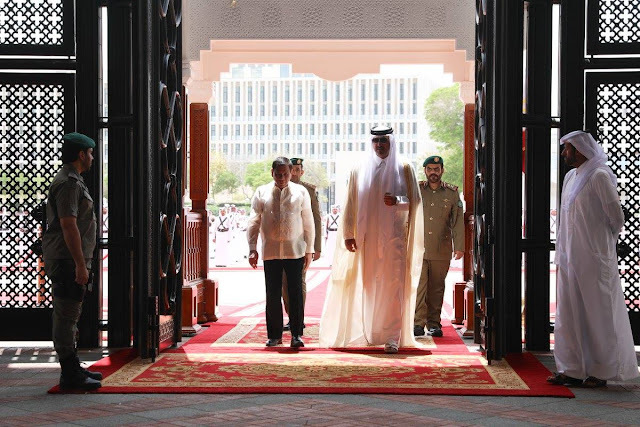 Gagalac said they insisted on paying their own bills but a Malacañang staff advised them that the Emir will take care of the accommodations, as has become the state protocol for any state visits from a foreign leader. Meanwhile, Allan Nawal of Inquirer confirmed the same story and said they also tried to pay but the hotel staff refused to accept their payment and said “they would be in big trouble if they did”. “It’s the Emir who can decide if you pay or not,” Nawal quoted the staff as telling him with a smile. Qatar’s emir, Sheikh Tamim bin Hamad Al-Thani, is one of the richest sheiks and the youngest reigning monarchs in the world. His assets as of 2014 has been valued at $2-B. Among his investments are with British companies like Harrods, Barclays and Sainsbury’s.